The NBS DBA is designed to improve your business and managerial practice through the development of your personal, intellectual and academic abilities, via a major academic research project. Your research will make academically recognised contributions to your chosen fields, thus providing private and public sector organisations with doctoral-level research outputs that make an impact in terms of policy and practice. 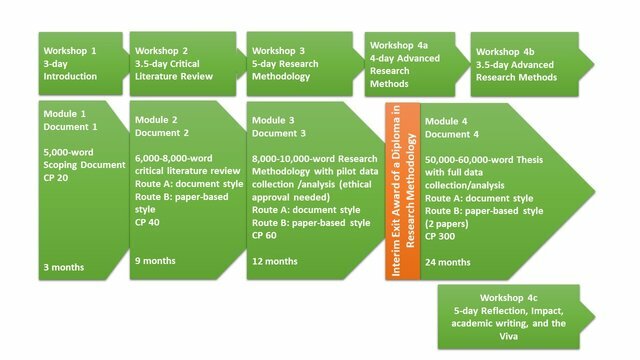 Our DBA has an innovative course structure allowing students to have the option of submitting their work in the form of conventional documents (route A) or in the style of academic papers (route B). The course team and supervisory team will work with you to ensure that you understand the different routes and options available to you based on your career aspirations and interests. explore the relationship between theory and practice, between understanding the world and changing it. develop your judgement, foresight, and problem analysis by applying theoretical and forensic skills to the research material derived from their investigations. develop you as a reflective practitioner who has the intellectual and personal adaptability to be able to deal with organisational change and ambiguity. develop communication skills which will enable you to communicate effectively with both academic and managerial and business communities, and to act as interpreters between the two. help you design and implement a research project at the boundaries of knowledge in your professional and managerial fields and thus make a contribution to academic knowledge and professional practice. Nottingham Business School has both EQUIS and AACSB accreditation. We're also ranked in the top 95 European Business Schools in the Financial Times (FT). Our DBA demands commitment, energy and hard work. In return, you will be provided with a stimulating and life-enhancing development experience with the award of an increasingly valued qualification. Why study the DBA at Nottingham Business School? The Doctorate of Business Administration is a research-based qualification and has the same academic standing as a PhD. As a student you can, therefore, expect a challenging, stretching, and demanding experience conducted in a stimulating atmosphere of intellectual and academic debate. Our DBA aims to have a wider impact and real-world influence, enabling you to make an important contribution to society, culture and business. Project topics tend to focus on strategic issues that are present within the applicant’s organisation and are sufficiently complex to warrant a large-scale research study. The NBS DBA is aligned to the level 8 of the QAA Framework for Higher Education Qualifications in England, Wales and Northern Ireland (FHEQ) and AACSB Standard 9. NBS is an active member of a number of international doctoral councils including the Arts & Humanities and the Health, Energy and Social Policy Research Council Doctoral Training Partnerships, Vitae, the ESRC Midlands Graduate School, the Executive DBA Council (EDBAC), the European Institute for Advanced Management Studies (EIASM) and the Association of Business Schools DBA Steering Group. Participation in these fora enable the programme leaders to network and influence initiatives pertaining to doctoral studies, such as the development of doctoral standards. Our DBA provides a distinctive approach to continuing personal and professional development. You will be expected to have regular contact with your supervisory team and produce work based on your own research in order to assess progress. With a strong focus on managerial and professional practice; the DBA links the rigorous study of work-based problems and issues to personal and professional development. This aids the transfer of learning into organisational and managerial practice. As a DBA student, you will take modules in research methodology, critical review and conceptual development. You will be expected to produce regular work based on your own research. All students are encouraged to discuss any issues with their supervisor or DBA Programme Directors or their DBA Course Representative. This usually consists of a Director of Studies (the person with the greatest expertise of the project) and a second supervisor. If you are collaborating with a company or institution you may also have a third supervisor. Projects can be inter-disciplinary and draw on knowledge from two or more Schools. All students are encouraged to discuss any issues with their Professional Doctorate Course Leader and their Professional Doctorate Course Representative. Our Doctoral School Administration Team will be your first point of contact for research degrees and will help you throughout the application process. If you are successful in your application, they will then be there to assist you throughout your period of study. The primary goal of the DBA programme is to enable you, the student, to earn a DBA degree that will help you to leverage your careers and/ or make a transition into the highest levels of academia. Through our programme, we offer senior managers, independent consultants and senior academics the chance to gain new, relevant insights that will inform and develop your own career profile and make a contribution towards the enhancement of business and/or professional practice. Our DBA is a prime example of how we enable individuals to achieve respected qualifications while undertaking research that's focused on, and beneficial to, their organisations and sectors. The course has been established since 1998, but in 2007 we launched the first cohort purely recruited from China. Students are taught in Nottingham while carrying out research in their organisations in China, which include major brands like Nike, Intel and Motorola. "I have thoroughly enjoyed thinking about methodologies and the different angles to re-investigate current issues. This helps to pull me out of the current firefighting approach that we tried every day, re-look at the issues that we are facing, and approach them more holistically, with a broader view and deeper thought." an MPhil, MBA or Masters-level degree in Business, Management or Organisation studies. a minimum of five years experience in a senior management post. the ability to conduct research and write a thesis at the doctoral level. International students must have an IELTS score of at least 6.5 with a minimum of 6.0 in all components. Those without a Masters qualification but with significant work experience and evidence can undergo a process of Accreditation of Prior Experience and Learning. Applicants with non-standard entry requirements and/or relevant experience will be considered on an individual basis. All applicants are required to complete an application form, submit two copies of their qualifications and provide two confidential references. Please return your application form, associated documents and references to dbaadmin@ntu.ac.uk in order to ensure that it is dealt with as efficiently as possible.